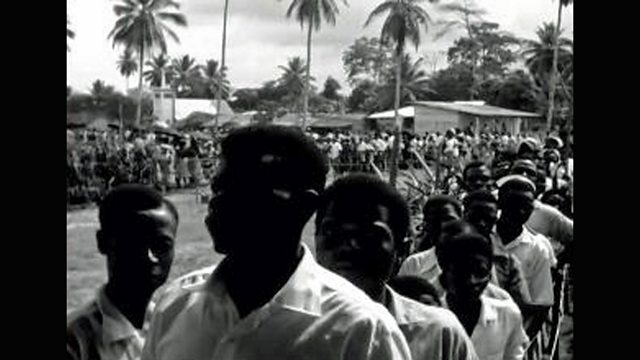 The 1961 vote lies at the heart of the violent conflict in Cameroon's English speaking region. In 1961, the British run territories of Northern and Southern Cameroons in West Africa were given a vote to decide their future. They could choose either to become part of Nigeria, or to become part of Cameroon. They were not given the choice of becoming their own country. The decision taken in that referendum would lay the seeds for the conflict which erupted in Cameroon's English speaking region in 2016. Alex Last spoke to the Cameroonian historian Prof. Verkijika Fanso about his memories of the crucial vote which decided the fate of his country.